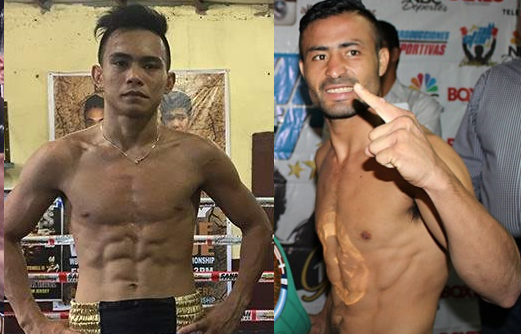 Filipino top prospect Romero Duno is set to face the Veteran Mexican fighter Juan Pablo Sanchez on September 23, 2017, at Forum, Inglewood USA. Romero Duno who won all his last 5 fights via stoppages will now fight another caliber fighter. Duno who knocked out the Mexican prospect Christian Gonzalez is now handled by the Golden Promotions and looking forward to more big fights. Romero "Ruthless" Duno has a record of 14to3KO)-1L and now currently ranked no. 2 best lightweight fighters in the Philippines. On the otherhand, Juan Pablo Sanchez is a 29 years old boxer from Huimanguillo, Tabasco, Mexico. He has a record of 30W(14KO)-13L. The Mexican last seen loses his fight against Antonio Moran last year via Unanimous decision. Duno vs Sanchez is included in the undercard of Jorge Linares vs Luke Campbell WBA World Lightweight Title fight.